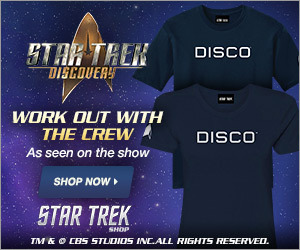 With less than 2 days to go until Discovery hits our screens again with the last half of season one, we thought it would be a great time to show you some NEW Discovery swag you can get your hands on to celebrate. 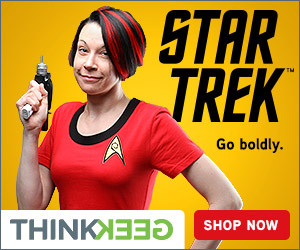 Along with the additions above they have released a new range… The “Property of NCC 1031” range. GET READY TO JUMP! Black alert, otherwise known as alert condition black, was an alert signal used on the USS Discovery and the USS Glenn in 2256 to signify that the ship was operating its experimental spore drive. This Black Alert Women’s T-shirt is great for any fan of Star Trek Discovery. Discovery returns tomorrow with episode 10, watch a sneak peek below. ← Toxic Fandom – How Do You Own Disorder?